Give a personal review of a pet related product or service you have used, not just information from the internet or a magazine. You could review pet food, toys, grooming tools, jackets, an automatic feeder or anything else relevant to pets. 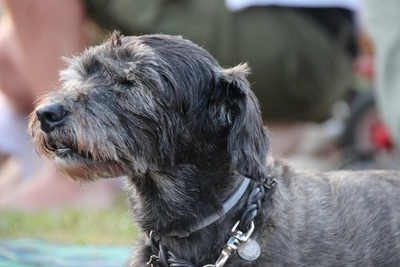 Do you have information on caring for a puppy, kitten or a senior pet? Readers would also be interested in how to care for a more unusual pet. It could help them decide if that pet is suitable for them or if they are better having a more 'mainstream' pet. Possible categories - #Dogs #Pet Care #Puppies #Senior Pets. Do you have experience taking care of an older pet? What challenges did that present? What solutions did you develop? Have you kept an unusual pet? Could you write about caring for it? Mention if this pet is restricted in some countries. What were the advantages and disadvantages of having an uncommon pet? Do you have a humorous anecdote to share? Use the category #Unusual Pets and any other relevant categories. 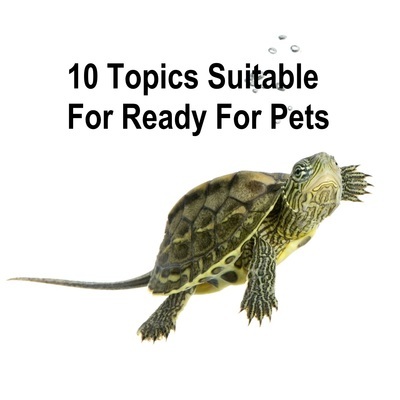 Create a new category if the pet hasn't been written about previously. Are you, or do you know someone who is a vet or a nurse at a veterinary surgery? Do you work in a pet shop? Tell readers about your job and the things you enjoy and don't enjoy about it. Did you need special training, a certificate or a qualification for this job? Do you have advice for others contemplating this line of work? Do you volunteer at an animal shelter? Why did you become a volunteer? How long have you been involved? If you work at an op shop where the proceeds go to help animals you could write how the money is used. Write about your pet. What makes your pet an individual? Is he/she typical of the breed or not? 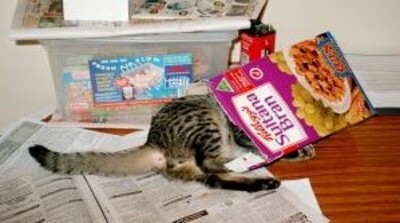 Has your pet done something funny or clever? Have you trained your pet or do you think your pet has trained you? Hopefully you have some great photos to illustrate your story. Do you give your pet gifts? If so, what sort of things have you purchased or made for him/her? Perhaps you could compile a list of gift ideas. Do you give your pet a party for his/her birthday? Readers would love to see a photo of the event. Do you invite your pet's friends to the event? How do you keep your pet safe? Perhaps you could compile a list of tips to help other readers keep their pet out of harm's way. Tips that make life easier for fellow pet owners are always popular. What tips could you share with other readers? How do you get your dog to take a tablet? Do you have money saving hints that others would find useful? What about some training tips. Many people are interested in pets and there are plenty of topics you could write about that others would find interesting or useful.